I was incredibly surprised when I traveled up to the Domain Northside to sample a huge portion of the menu at Miami import Lotus + Cleaver. After starting with a refreshing cocktail and some spicy (but really unattractive) cauliflower we settled on the incredible roast duck, which was mouthwatering juicy but also still crisp at the same time. What a feat! "Chinese barbecue is the focus, with the Canton roast duck the highlight. It’s rare to dine at an Asian restaurant where an entire day’s notice isn’t required to order a whole roasted duck, so it’s best to jump at the opportunity when it arises. 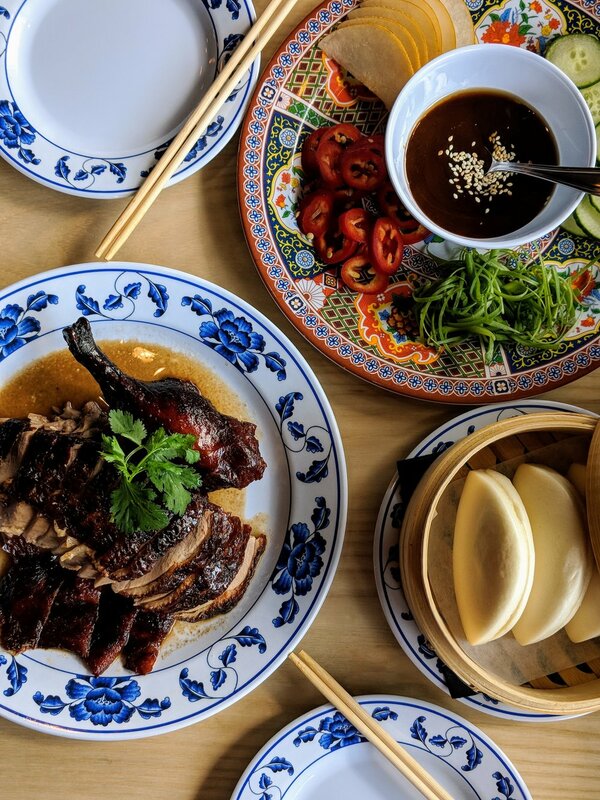 This one is crispy and juicy all at the same time and is accompanied by steamed mantou buns, cucumber, Asian pear, and a Hoisin-like sauce, all of which combine to create the perfect sandwich."